Soy has been an ongoing conversation between doctors and researchers for many years now because of its phytoestrogenic activity. It is a plant based food that mimics estrogen essentially. In recent years, soy has been promoted as a superfood for vegetarians claiming it as an ideal source of protein. However, soy is consumed by a lot of meat-eaters as well. Ovarian function and female reproduction rely heavily on the action of estrogen on its target tissues in the body. Alterations in this cyclical nature of these hormones or levels produced can affect ovarian function and fertility.Because soy is phytoestrogenic, it can affect your natural levels of estrogen. Period, that’s a fact. So the question remains, is it good or bad for estrogen sensitive tissues? (pay attention if you have endometriosis or fibroids ladies…). 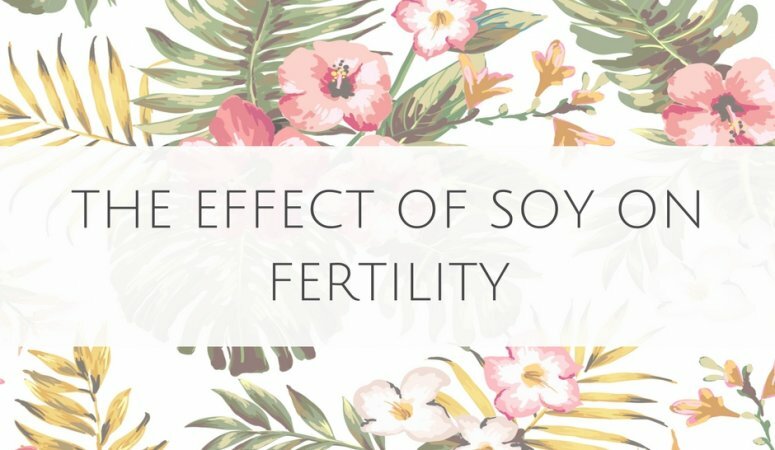 I wanted to give you the scoop on the research so you can understand the effect that soy has on your hormones, your ovarian function, and overall fertility. Some research has shown that soy can BLOCK estrogen receptors, reasons why it has been clinically promoted for its many health benefits including lowering cholesterol, preventing recurrence of breast cancer, protecting against heart disease, reducing menopause and preventing osteoporosis. This effect is due to 2 isoflavones found in soy; genistein and daidzein. However these same 2 isoflavones have also been found to be “toxic to estrogen sensitive tissues and in the thyroid” (not so good for those with Endometriosis or Fibroids). Soy is also high in phytic acid which inhibits your bodies absorption of Zinc (an important fertility mineral) and trypsin which disables protein digestion. Now before you start eliminating soy from your diet completely, it is important to note that there are two “types” of soy. Originally, the use of soy in diet was minimal (10-25mg/day; 1-2 servings/day) and included only fermented forms like miso, tempeh, natto and tamari. These products are produced naturally and do not contain the same chemicals and toxicities that the modern highly processed soy products do. The modern soy products are very toxic. They are produced in large factories, stripped of their fibre, acid-washed in aluminum tanks, and then subjected to high temperature, high pressure extrusion to produce texturized vegetable protein (TVP) (this process strips the soy of its proteins and adds nitrites, major carcinogens). Not to mention all of the MSG and other flavourings added to make this stuff taste good. Just writing this has my ovaries screaming for cover! Modern soy products include: texturized vegetable protein, soy milk, tofu, soy yogurts, soy protein powders, soy based cheeses, just to name a few. Again, remember there is good and bad soy products here. A research study in 2007 studies the effect of soy isolflavones on endometriosis and how it reacts with estrogen receptors. They found that higher levels of urinary daidzein and genistein were associated with a decreased risk of advanced endometriosis. For the most part, studies conducted so far suggest that “diets containing 1-2 servings of soy per day as part of a well balanced diet should not pose harmful effects on the function of the ovary”. This is consistent with that of traditional asian diets (10-25mg/day). Taking in >100mg soy can lead to reduced ovarian function. Although soy contains compounds that can help balance hormones, it is not a magic solution and should not be over-consumed. Any consumption of soy should be of the FERMENTED variety and you should limit yourself to 10-25mg/day (1-2 servings per day). Tsuchiya M, et al. Effect of soy isoflavones on endometriosis: interaction with estrogen receptor 2 gene polymorphism. Epidemiology. 2007. Jefferson W. Adult Ovarian Function Can be Affected by High Levels of Soy. The Journal of Nutrition. 2010.